W ith the holidays right around the corner, you might be wondering what to purchase that special traveling photographer in your life, or perhaps you’re thinking of treating yourself to something as the year draws to a close. Either way, I thought I’d offer up my personal list of ten efficient, useful and perhaps most importantly; compact & lightweight items that can make travel photography more enjoyable. I’d be preaching to the choir if I said that there’s nothing more rewarding and invigorating than a photo trip to some exotic location, and traveling with the lightest load possible makes the experience that much more enjoyable. These gift suggestions can help you travel lighter, and return home with amazing images of your trips. Some of you may know that earlier this year I switched from DSLRs to mirrorless micro four thirds, and I’m delighted with the smaller, lighter form factor, the image stabilization, and the wonderful and exciting video capabilities. I’m not going to get into recommending camera gear per se, but rather items which I’d recommend that you take along, with the camera(s) of your choice. So, without further ado here are 10 items, plus an 11th item, which is totally free of cost. Each would make a great addition to any travel photographer’s armamentarium. I’m speaking of the 12″ Macbook, not the MacBook Pro which is larger. The 12″ Macbook is less powerful, it lacks USB ports (which will require that you purchase a small hub in order to connect your card-reader and other peripherals) and it’s just as expensive as its larger more powerful sibling, the MacBook Pro. 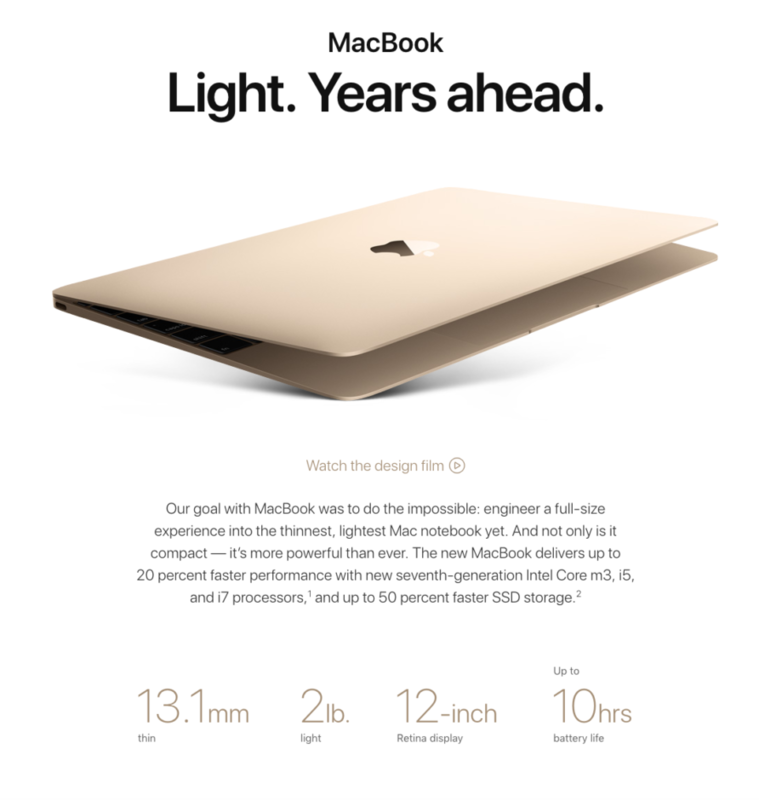 But more importantly, what the 12-inch MacBook lacks most, is size and weight. When you’re on the road are you really going to be doing lots of processor intensive editing before you get home? Do you really need that extra inch of display size while uploading and backing up your images in your hotel room at night? For me, the reduction in weight and size makes toting the MacBook around for three weeks, wrestling with it through airport TSA security checkpoints, a bit more bearable. 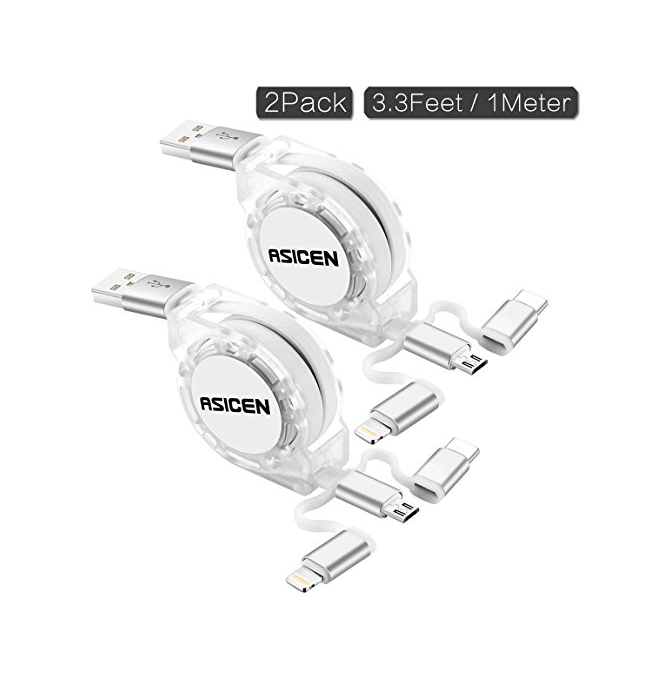 And don’t forget…the power cord and, wall adapter are significantly smaller too. Additionally, if your phone is USB-C then you can forget about bringing an extra cable or two. OK, let me start by saying I know what some of you are thinking. Yes, the iPhone is an excellent device, but there are alternatives. Yes, IOS is a nice operating system, but until you give the Android operating system a try, you won’t know that it isn’t inferior, it’s just different, and that it actually offers some distinct advantages for photographers. 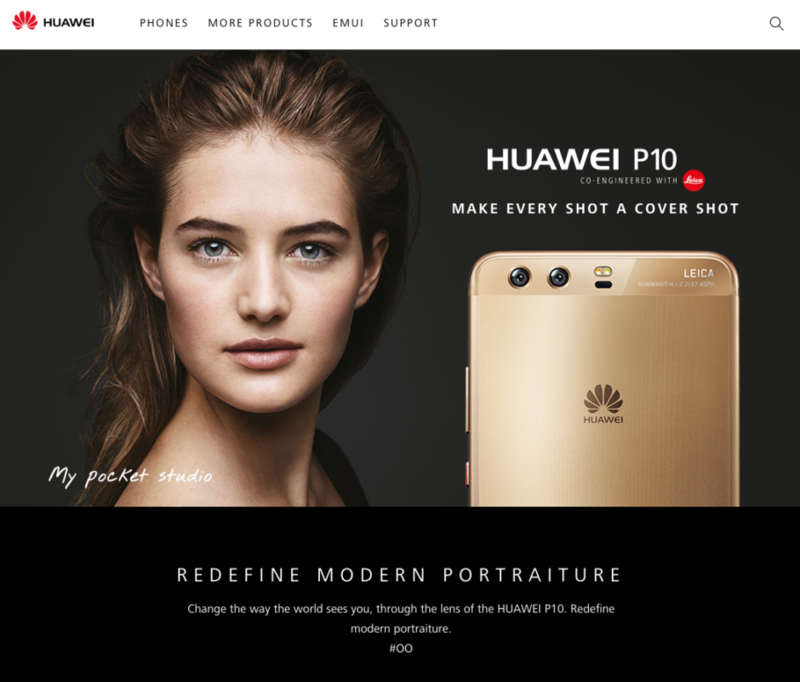 I sold my iPhone earlier this year and purchased the Huawei P10 Plus with its dual Leica branded lenses, and I’m so glad I switched. In my humble opinion, the P10 Plus and its newer cousins, the Mate 10 and Mate 10 Pro surpass the iPhone in terms of making pictures. Other benefits include a battery which will last all day, a non proprietary interface that makes downloading your photos and videos easier and faster, a beautiful HD screen and so much more. And did I mention they cost less than the IOS devices that so many folks use? Perhaps there is a reason why Huawei just surpassed Apple to become the world’s second-largest seller of smartphones. Nothing is cooler, more inspiring or exciting than gaining a new perspective on your image making. The aerial perspective opens up a completely new world, allowing photographers to capture a dimension which was once available only to those who rented helicopters or shot from ultra-light aircraft. The natural environment, man-made structures and just everything we see at ground level, looks fresh, new, exciting and interesting when photographed from above. If you’re interested in aerial photography, my first drone photography workshop took place last July and I have plans to offer more in the coming year. 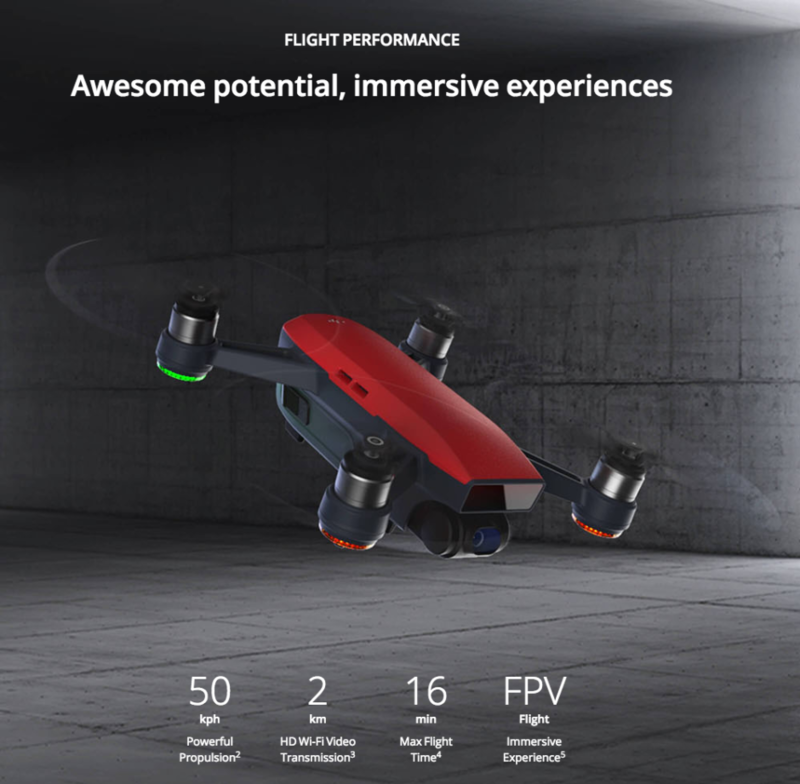 There’s never a better time than the present, to start learning something new, and like everything on this list, the DJI Spark is small, lightweight and very portable. It’s an image-making device that will probably fit in your existing camera bag if you jettison a few of those items that you always carry around, but never use. There’s one surefire way to downsize and lighten your load on your next trip……get a smaller suitcase. 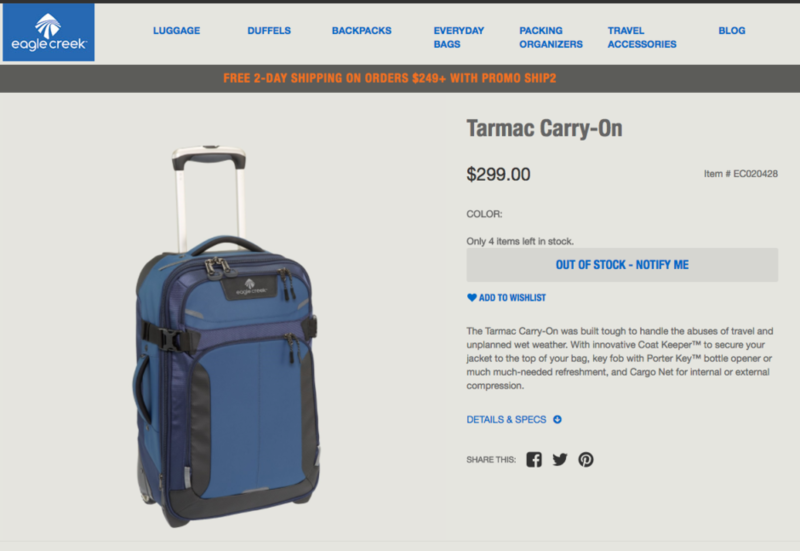 This Eagle Creek Tarmac bag is the lightest, most durable roller bag that you can buy. Trust me, there is plenty of space in there for everything you need for a 3-week trip. Capturing sounds whether it be ambient environmental sounds, voice clips of interviews is becoming more and more important when telling the story of one’s trip to an exotic location. Moving images with sound and live FaceBook posts are a great way to let friends and family experience your adventure right alongside you, but often times the environment is too noisy or too windy for good sound when you’re using just your SmartPhone’s mic. 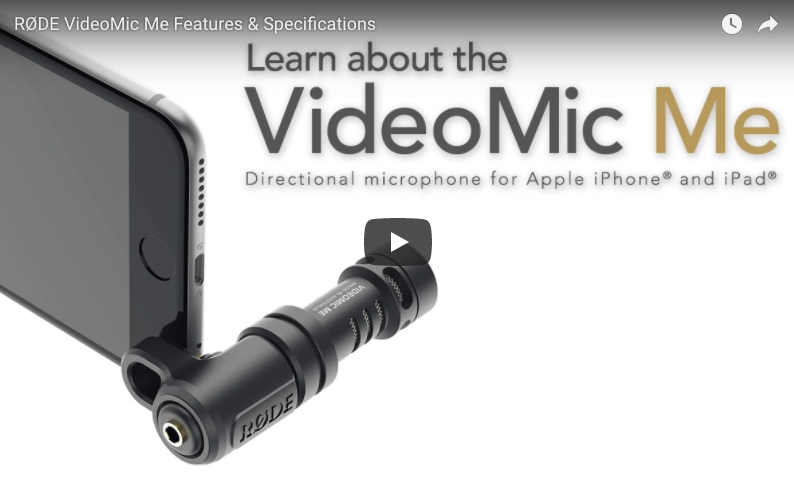 This Rode mic can be attached to your smartphone (assuming you don’t have one of those new phones that lacks a 3.5 mm headphone jack) or to the external mic port on your DSLR or Mirrorless camera (using a $2 patch cord). It’s a directional mic, so it focuses on the sounds, only in the direction in which it is pointed. While broadcasting a Facebook Live video, it can be pointed at you (the narrator) while the camera is pointed at the subject or vice versa. For great sound in a small package, this little mic is a great option. When you get home from an awesome trip with your phone or computer filled with images and videos, sharing them with family and friends on your big screen TV is easy. With Google’s Chromecast, you just wirelessly “cast” them from your phone to your flatscreen TV. The only difference between Chromecast and Apple TV is that Chromecast works with both Apple (Mac and IOS) as well as with Android and PC, whereas Apple TV only works with Apple products. Friends coming for the Holidays? 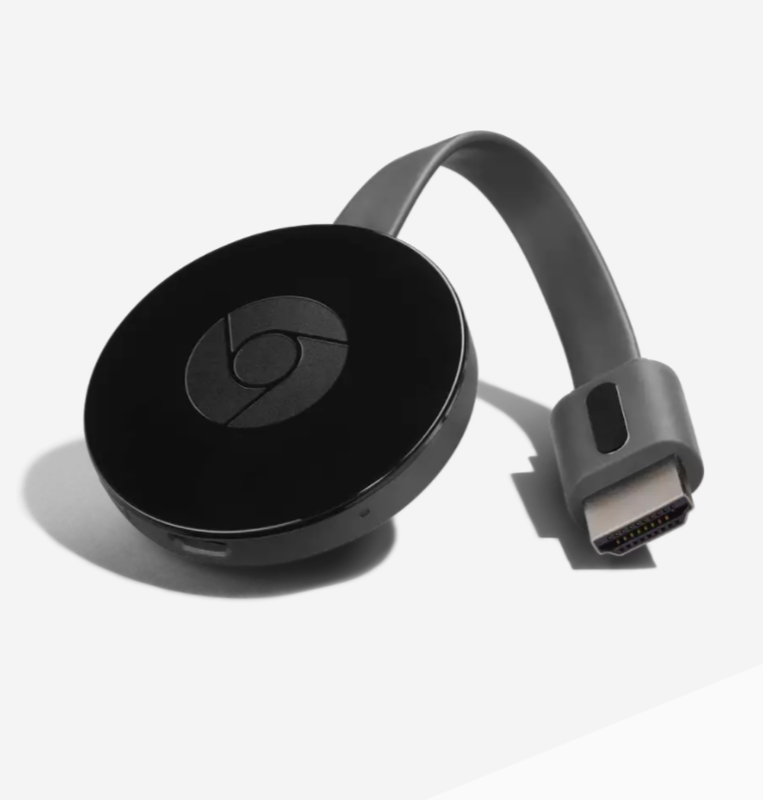 It doesn’t matter if they have Macs, PCs, Android phones or iPhones, they too can share their images easily and wirelessly through Chromecast connected to the back of your TV’s USB port. Having a flashlight in your pocket comes in handy in so many instances. I’m never without my Fenix EO5, which I have carried for years and have recommended many times on my Holiday gift blog post. The Fenix EO5 is tiny and is powered by a single, ubiquitous AAA battery. 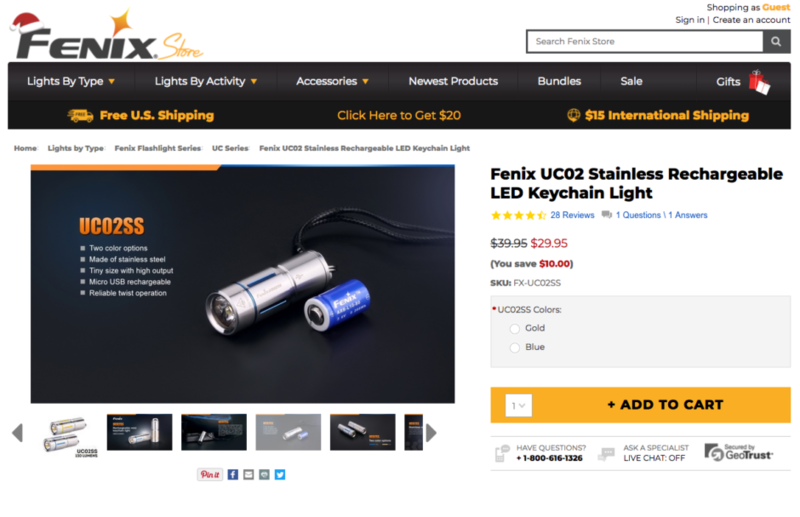 Now Fenix has introduced a smaller, more powerful flashlight called the UCO2 and the UCO2SS which can be charged using the USB port of your computer or one of those tiny electrical-socket-to-USB cubes that come with every smartphone. So perhaps you have a bunch of music on your smartphone, computer or iPad or tablet, but you have not upgraded your home stereo system since the 1980’s. Today’s stereo receivers and sound systems have Bluetooth receivers built in, but those wonderful old Marantz, Techniques, Pioneer and other somewhat antiquated yet high fidelity stereo receivers you have had in college didn’t come with Bluetooth, because it hadn’t been invented yet. 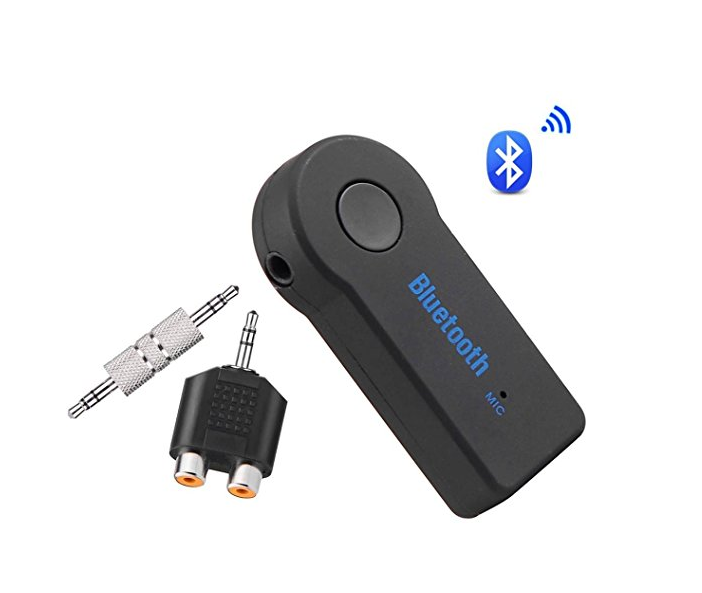 Fear not, with a tiny inexpensive Bluetooth Receiver, plugged into the back of your old stereo system, you can easily pair your modern smartphone, tablet or computer to the stereo and control your music selection, volume and everything else, from the comfort of your chair at the dinner table or the living room. For those who might need a 3.5mm to 2 RCA converter too, it’s included! The device also works with your car stereo if you don’t have Bluetooth there either. If it seems like your arms are getting shorter and you are finding it hard to read the small print or small screens on your computer, camera or printed material but don’t like the hassle of carrying a set of reading glasses in your breast pocket (or if you are wearing a pocketless shirt), these ThinOptic reading glasses are fantastic. They are tiny, feather-light and don’t have temples or hinges, rather they fit on the bridge of your nose. They fold up in a special “keychain case” or come in a flat case the size of a credit card so you can stow them in your pocket or camera bag without worrying about damaging them. ThinOptics are also unconditionally guaranteed: in the event that you break or scratch them you can get a new pair for free. 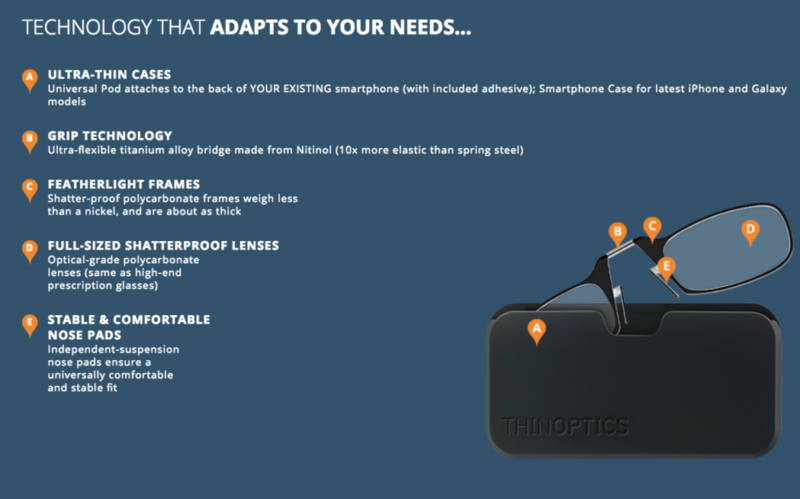 ThinOptics come in varying strengths to suit your needs (as your arms get shorter). Cords for electronic devices take up more and more space in our camera and computer bags, and some folks are dealing with devices that have different connectors. Micro USB, Apple’s lightning connector, and the new USB-C connector. These retractable cables allow you to carry fewer cables and best of all they retract, eliminating that spider web of wires that create such a hassle in your bag. Last but not least, if you have not started using Google photos, you should check it out. Free, automated back up of every image you take with your smartphone, tablet or put on your computer. 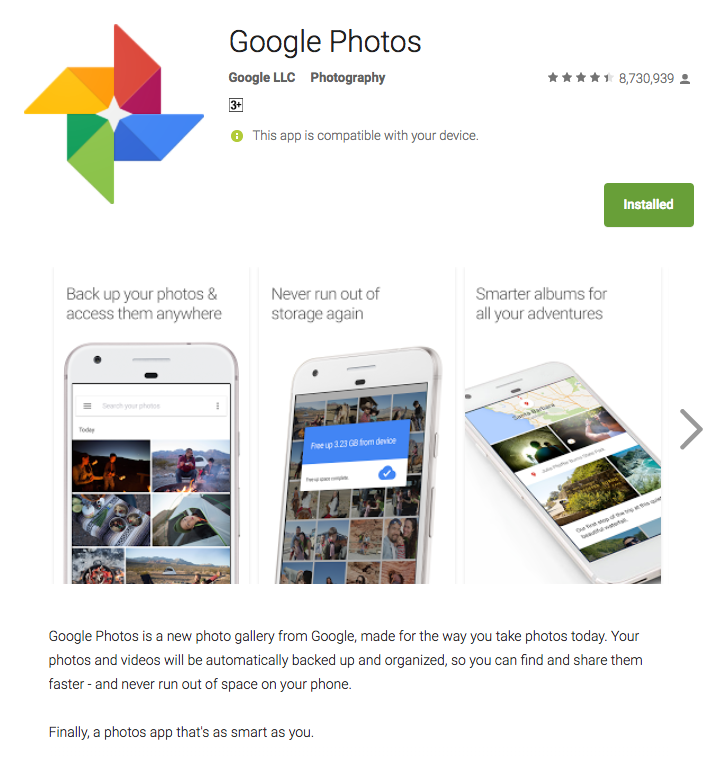 With Google photos installed on your device, when your device connects to the internet (via WiFi for example) you can choose to have Google photos upload those images to your free Google photos account, where they are organized, and archived for free, forever. Once in your Google Photos album, they are available online from any computer you log in (securely) anywhere. Want to share those photos from your last photo trip but don’t want to drag your computer around? If they are uploaded to your Google Photos account, you can view them on your phone, and/or project them (with your Chromecast) wirelessly to your TV. super sweet list for the whole year!!! Wow a lot of expensive and nice gadgets. Thanks to make us dream about them.